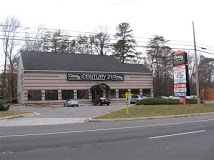 Our Century 21 office is located on Ritchie Highway in Pasadena Maryland. Serving the Greater Baltimore and Anne Arundle County markets since 1988. Our location is uniquely positioned with easy access by Route 10, Ritchie Highway, and Route 100. We specialize in all types of commercial and residential transactions. Our agents are focused on providing an unparrel level of service to all those who are seking professional real estate counseling. We are committed to Excellence! !